Patch v229 – What’s new? Today the new patch was released, which brings us to version 229! This patch includes some adjustments for the New Year’s Eve ball that will drop at 12PM EST in all servers, some minor changes such as all items being on the item ID list again and warming up the Winter Wonderland event by 25% and, most importantly, the Procoptodon! From today on we will be able to ride a creature with two people at the same time! One of them can position itself in the pouch of the procoptodon and be ridden around the Island. From the pouch you will be able to shoot arrows, fire bullets and also use the pike and spear. 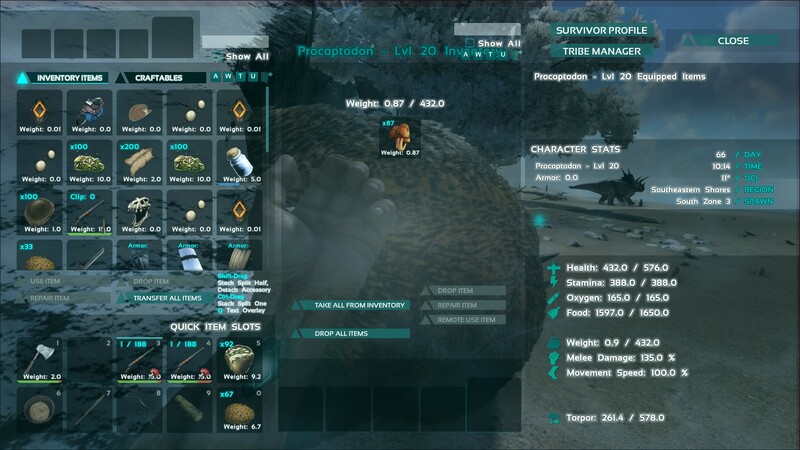 The Procoptodon is a knockout tame, but its food consists of Rare Mushrooms and Plant Species X Seeds instead of the normal berries. This makes it a little tougher to tame. You can use our taming calculator for a level dependent count of resources needed to tame one. 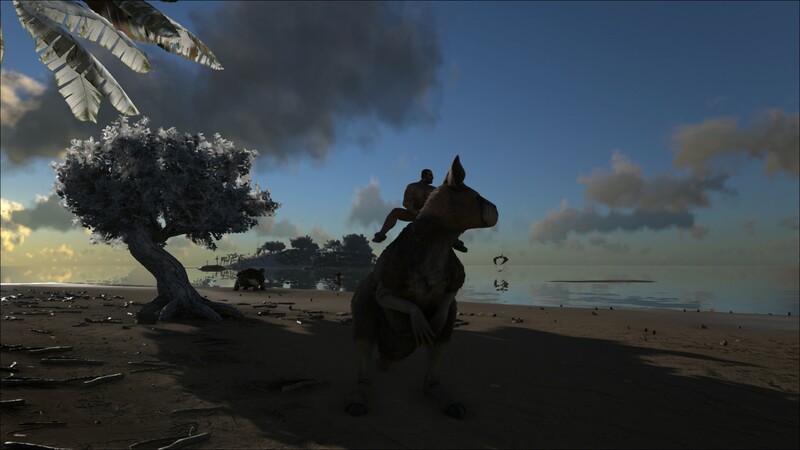 After a Procoptodon has been tamed, you can feed it normal herbivore food. This means that they eat berries when tamed and they seem to prefer azulberries as they eat those first. Update: it seems it doesn’t have any preferred kibble as of now. Furthermore, a level 20 procoptodon needed 67 rare mushrooms to be tamed. A level 40 takes 99 mushrooms and a level 120 will (presumably) take 234! They also turn out to eet plant species X, but this gives less affinity when compared to the rare mushrooms. Therefore you will need more of them and the effectiveness will be lower. Currently they are still hard to find, as existing dinos have to be killed before there is room for them to spawn. 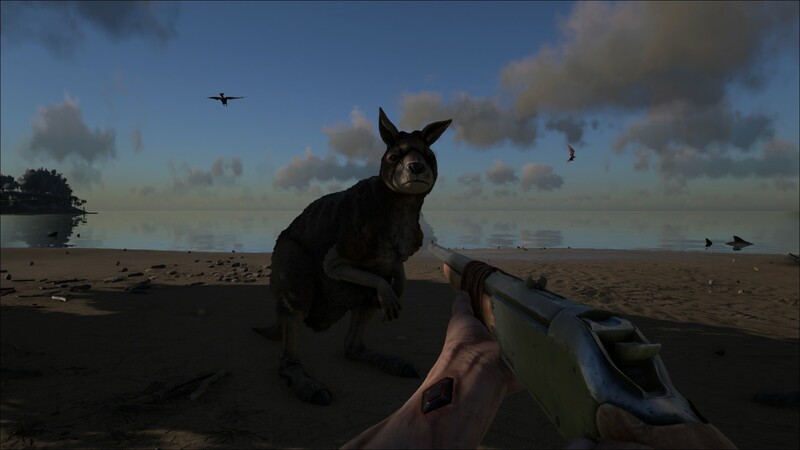 Your best aim is therefore to go on a killing spree and especially in the more northern regions (both the fang mountain and near carno island are locations they are often spotted). Also around the foot of the vulcano some people have run into them. 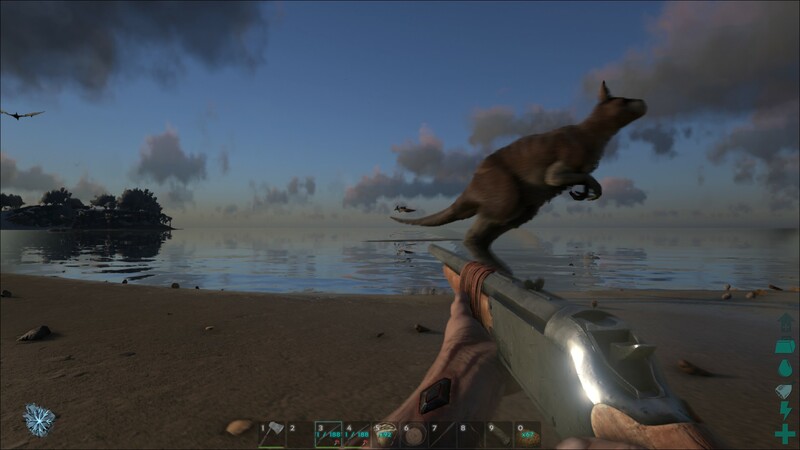 Procoptodons are very rare on some servers. There might be a problem with the actual spawnrates as many people reported to not be able to find any of them. When a Procoptodon is tamed, you will not be able to level their speed stat as there is no blinking ‘+’ sign available next to speed. The ‘+’ sign has been added in patch v230.3, however it is still not possible to level the speed as the ‘+’ sign does not add a point into it. Currently the Xbox version is a little behind on PC, so the Procoptodon is not yet available to Xbox One players. Well when will it be ready?? It is for a while already, as this is an old patch (currently we’re at v240 on PC already).